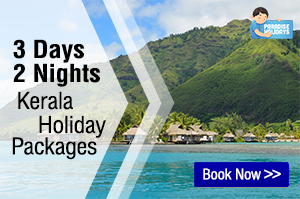 Kerala is one of the most sought after tourist destinations in India. Kerala is often termed as paradise set in green!! Kerala is not just some backwaters and hill stations as it is usually advertised but it has so much more to offer. This land of mesmerizing beauty has rich culture and traditions and is one of the best tourist places in the world. This Kerala travel blog has tried to give you planning insights, offbeat travel destinations, things to do and tips to make your journey to Kerala smooth and unforgettable. You will find information about it all! Being a coastline State Kerala has a long western border with the Arabian Sea. 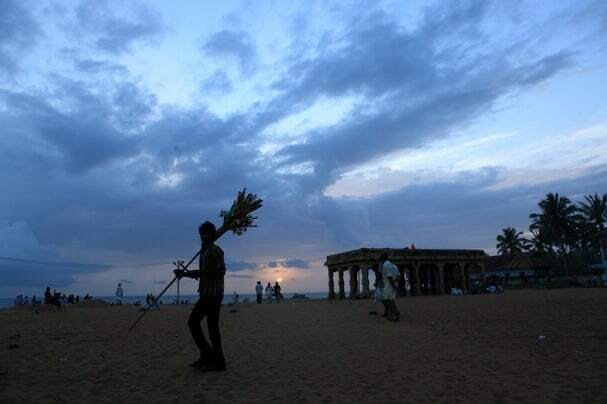 There are beaches of all types: – wet and wild hilly shores, long promenades, beaches adjoining backwaters and the sea. Take your choice. Bekal Beach in the northern most part of Kerala, Kasargod is a long lovely one. The Bekal Fort in the middle makes it enchanting. View the sea from the ramparts of the fort, or walk, swim, or picnic. The place is a declared tourism spot, so all amenities are provided such as accommodation for all pockets, good roads, clean beach etc. It lies at a distance of 16 km from the town of Kasargod. Muzhuppilangad Beach is 5 km north of Thalassery. (15 km from Kannur ) An unpaved road winding through coconut groves lead you to the beach. The 5 km long beach curves in a wide expanse: you can even see the Kannur beach to the north. About 200 meters away is the Green Island. But the Prize goes to the 5 acre Dharmadam Island in beauty. During low tide, you can walk to the island if you get permission from the owners. The rocky shores are remarkably beautiful. Kovalam Beach is the most well-known beach in India. The bay created by the jutting promontory is calm and ideal for bathing. The place has everything you need, comfy cottages, high-end hotels, pools, yoga center, places where you can have soothing medicinal oil baths. It is only 12 km from Trivandrum City. Varkala Beach also known as Papanasam (washing away sins) Beach is unique for the presence of cliffs a strange sight on the flat coast. As the waves dash against them, water spouts and spas are formed. One can bathe and swim also at the beach. There are many shops around to have snacks. The town of Varkala is about 32 miles north-west of Trivandrum. Cherai Beach is on the western coast of Vypin Island ,25 km from Kochi. Goshree bridges connect the island to the mainland. There are regular ferry services also connecting the two areas . Cherai beach is the longest compared to two other beaches in the island. Sankumugham Beach is located very close to Trivandrum City. It is one of the evening hideouts for the city dwellers to unwind and relax. Calicut Beach is another beach that is located close to the city center. I have never seen any other beach where these many ice creams shops operate close-by. I am not talking about the ice cream carts but actual shops. 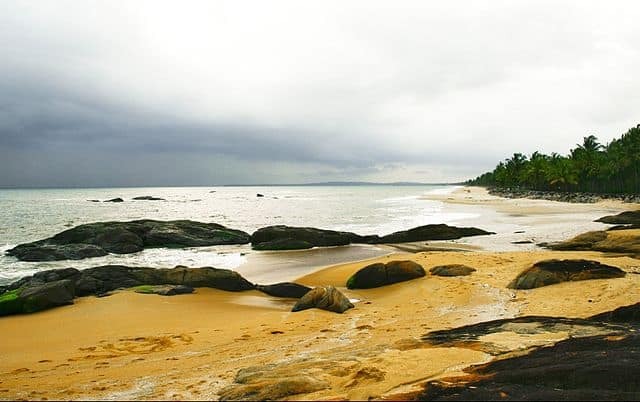 Kappad Beach is a historically important beach in Kerala. It is the place where Vasco da Gama, the Portuguese explorer landed in 1498. It is 12 kms away from Calicut city and has beautiful sandy beach stretches. Well, there are many more beaches as Kerala is a coastal state. Depending on where you are traveling in Kerala, you can ask your Kerala tour operator to guide you to the one near that location. Kerala also has some beautiful waterfalls across the state. Here are few of the most beautiful waterfalls which are worth a visit. 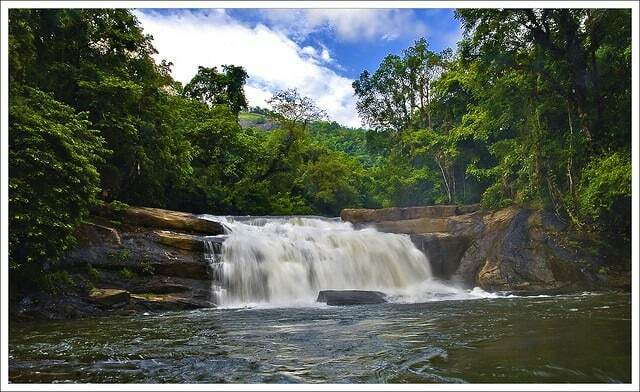 Athirapally waterfalls is located in Thrissur district on the Chalakudy River. The fall drops in 3 streams, which keep the river turbulent for the next 1 kilometer. The river flows through forests and ranges. Athirapally is the prominent tourist visiting place in Kerala. 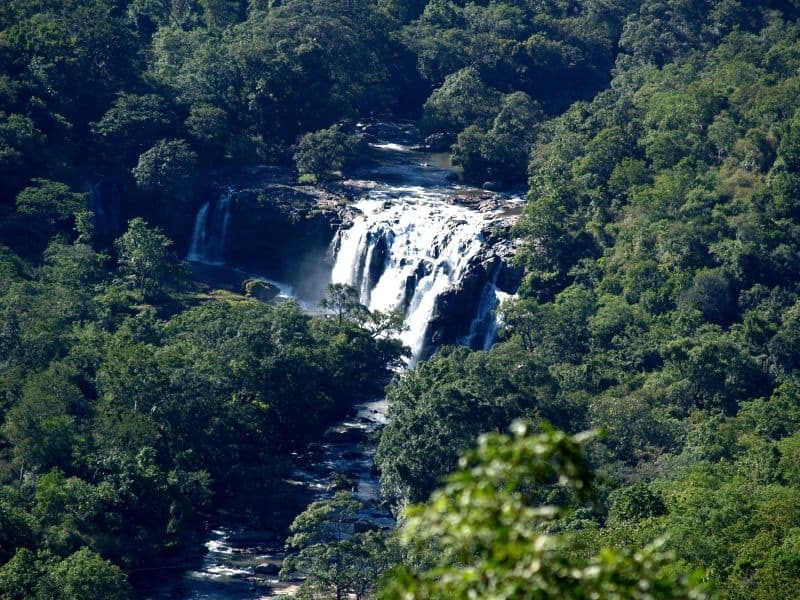 Vazhachal Falls just 5 km from the entrance to Athirapally is also a tourist attraction. One can drive 30 km from Chalakudy rail Station through winding roads and greenery to reach the place. A paved path leads you to the top; a steep path takes you to the bottom of the falls. Kochi is the nearest Airport. Palaruvi Falls is located in Kollam district, 75 km from the city of kollam. It is a single drop (299 ft) horsetail type across the Kallada River. The up-stream herbal groves give a healing property to the water. Thusharagiri Falls is formed by the Chalipuzha River which diverges into 3 Falls, which envelopes the area with misty spray. The highest is the Thenpara Falls from a height of 246 ft. The place is amenable to hardy trekkers and rock climbers if they are equipped for it. It is about 50 km from Kozhikode Station; Calicut Airport is a further 28 km. Thommankuthu is a seven step waterfall, 20 km from Thodupuzha. It is a lovely picnic spot in the greenery surrounding the Falls. There are a number of caves to explore in the area. It is a network of rivers, lakes and inlets interconnected by canals forming 900 km of waterways on the west coast of South Kerala. A number of towns among this serve as points for starting and ending cruises. Vembanad Kayal, the longest lake is the star attraction. The Port of Kochi at the lake’s outlet to the Arabian Sea is the chief starting point; Alleppey the Venice of the east also is an equally popular location to start the cruise. So is Kollam the gateway from the south end. Regular ferry services connect towns on both banks of the backwaters. Tourists prefer to use furnished Houseboats with all facilities, such as fresh tasty meals, viewing decks, freedom to stop where you want etc. There are islands like Vypeen near Kochi, Kumarakom bird sanctuary, Pathiramanal, Monroe Island near Kollam and many others. Hotels and resorts and even home stays are available throughout the course of the Kerala backwaters. Canoes can be used for narrow canals. Ashtamudi, Sasthamkotta are also major lakes in the system. Backwaters of Kuttanad, Kollam, Allapuzha, and Kochi are well-known names in Kerala and all are equally splendid. The view of coconut palms, green fields, birds, small town life is all to be enjoyed while cruising. Kerala slopes from Western Ghats to Arabian Sea; as a result the eastern terrain is hilly and there are a number of evergreen hill stations amidst the ranges. Vagamon lies in the Idukki -Kottayam border area. The altitude is 1130 m, with cool summers. The place is immensely beautiful with many points of tourist interest. The meadows, forests and hills veiled in mists make it alluring. It is a must be seen spot. Nearest airport is Cochin; by rail Kottayam is closest. Palai, 33 km away is the nearest town. Ponmudi is 58 km from Trivandrum, the capital. A road trip passing 22 hairpin curves and crossing many rivulets takes you there. A day trip will give you time to cool among forests and hills. KTDC runs a hotel for overnight stay and also a place for conferences. Peppara wildlife sanctuary, Golden Park and Kallara river are nearby places to visit. Waterfalls invite you to their cool green shade. Lakkidi is the gateway to Wayanad the hilly district. From Calicut, a comfortable road with a lot of view points on the way takes you there. Wayanad experience starts from there… Most of the tourist spots are around lakkidi, Vythiri and Kalpetta and all these places which are near each other offers plenty of places to stay. Hotels, resorts, cottages and even tree houses are available. Calicut Airport is the nearest, and Calicut is the railway station to embark. A distance of about 75 km exists between Calicut and the important parts of Wayanad. A visit to a museum enables us to get some idea of the culture and traditions of the State. We can also make out how advanced the people are in applying science to their lives. Hill Palace Archaeological Museum in Thrippunithura, a suburb of Kochi is situated in an area of 54 acres. The buildings used to be the Royal family’s residence. Now they comprise an Archaeological museum, a heritage museum, pre-historic objects and a deer park. There is a collection of rare medicinal plants also. 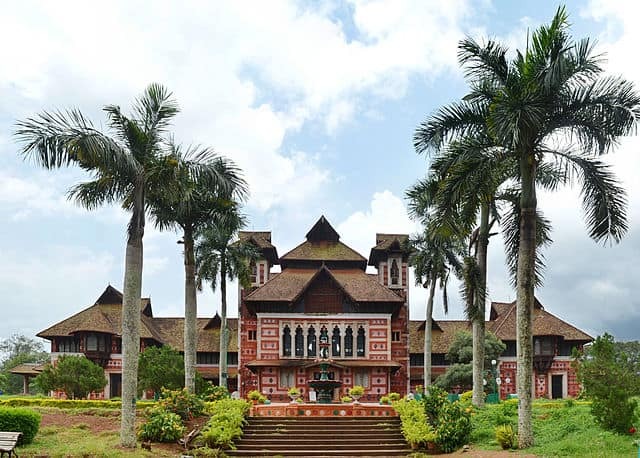 The Napier Museum is an Anglo-Saracen masterpiece of architecture. It is an Art and Natural History Museum which displays ancient bronze idols, ornaments and even a royal chariot. Sri Chitra Art gallery nearby exhibits paintings specially those done by the famous Raja Ravi Varma. A large zoological garden is also located in the premises. Kerala Folklore and Culture Museum – One can learn about Kerala architecture and traditional performing arts of whole of South India at this museum. Even the window frames are special, apart from the folk art puppets, musical instruments and garments which are unique. On certain days, a show of the main 4 art forms is conducted with live music. It lasts for an hour and 15 minutes. A must-be-seen place! It is located at Thevara Jn, Ernakulam. Science and Technology Museum in the State capital hosts working, participatory models of science and electronics. The Sky Theater at Priyadarshini planetarium is one of the best with shows on stars, planets and the Universe. The Calicut Planetarium in north Kerala also is a reputed science center. 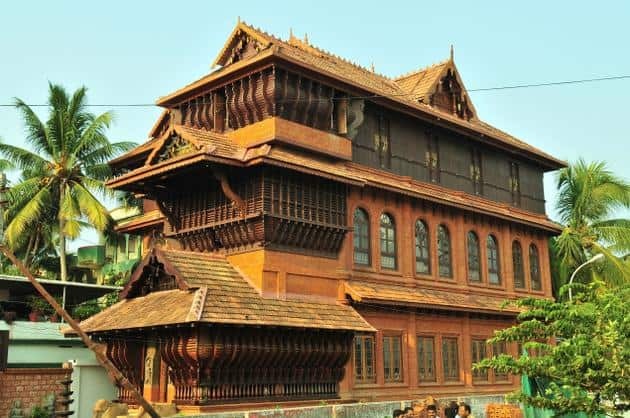 The Archaeological museum in Thrissur is well-known for the murals, temple models, manuscripts on dry palm leaves and figures and weapons of heroes of history. This is the best place to visit in Kerala to learn about the history of Kerala. Please Note: All museums in Kerala are closed on Mondays and National Holidays. Dams are built for irrigation and hydro-electric projects, but they are also beauty spots where visitors can enjoy the view and the various activities associated with reservoirs. There are comfortable lodgings, hotels and resorts for tourists nearby. There are 53 dams in Kerala. Malampuzha Dam near Palakkad is the largest reservoir in Kerala. The 125 ft dam was completed in 1955. A network of two canal systems irrigate the farm land. The reservoir provides drinking water to a large area. Many attractions beckon visitors to the site; garden, aquarium, Japanese garden, rock garden, hanging bridge, swimming pool and boating facilities. The distance from Palakkad Railway Junction is 7 km. Dams in Parambikulam Wildlife Sanctuary – Parambikulam Wildlife Sanctuary in Palakkad district has 3 man-made reservoirs, Parambikulam, Thunacadavu and Peruvaripallam all within an area of 20.66 km sq. There are 3 major rivers and a waterfall that empties into one of the reservoirs. Boating facilities are available. 65 km drive from Palakkad to Pollachi and 45 km drive from there take you to the location. Mullaperiyar Dam on the Periyar river was constructed in 1890s by the British Government. Major Pennycuick and the troops had a great role in building this. It was a great Engineering feat of the day. It is a masonry gravity dam 176 ft high and 1,200 ft long. The dam created the Periyar Thekkady reservoir in a remote gorge above 3000 ft.
Idukki Arch Dam on the Periyar and minor dams on Cheruthoni and Kulamavu form a huge reservoir at a high altitude. It is a major tourist attraction as one can get a panoramic view of hills and green forests. The dam supports a 780 MW hydro-power station. Idukki, a small town 121 km from Kottayam is a tourist center. 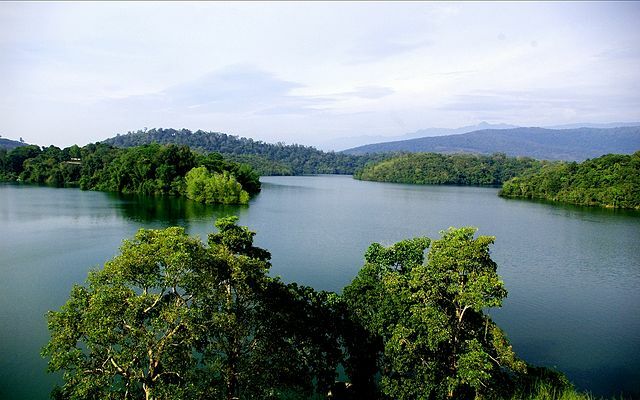 The Periyar wildlife sanctuary is also an attraction and known to be one of the best tourists places in Kerala. Neyyar Dam 30 km from Trivandrum is a popular picnic spot. The mini wildlife sanctuary, lake and a garden, lion safari park, deer park, and boating are the attractions. Sivananda Asram is much appreciated by those who want to practice yoga and meditate. Kerala is one of the Indian States where you will find all sorts of religion from Hinduism to Jainism. There are many ancient temples where devotees throng across the state. Here are few of the important temples in Kerala. 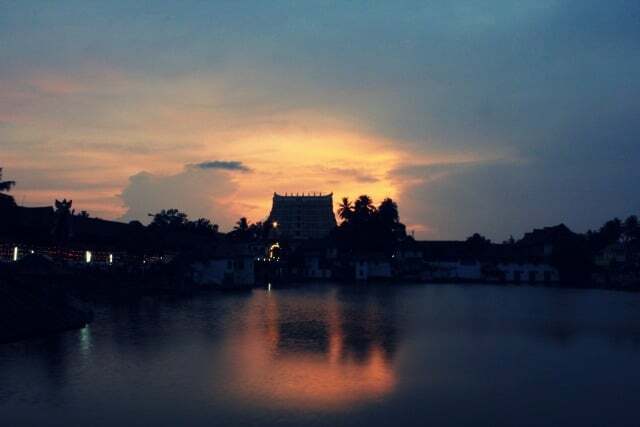 Sri Padmanabha Swamy Temple – In the capital city of Trivandrum stands the imposing Sri Padmanabha Swamy temple. The huge idol of Vishnu made from a specific mixture according to Vedic traditions lies in a reclining posture. The long walkways with stone carvings are awesome. The architecture of this temple makes it one of the important places to visit in Kerala. Ettumanoor Mahadeva Temple is one of the celebrated Shiva temples. Carvings and murals are noteworthy. The golden staff in front of the shrine is visible from afar. The deity installed in a circular sanctum is known to be very powerful. Ettumanoor is about 10 km from the city of Kottayam. Srikrishna Temple at Guruvayoor is visited by any Hindu believer who comes to Kerala. The temple is crowded whole day, every day. Many weddings are conducted here at a special place where even non-Hindus are allowed. Dwaja Sthambham is 33.5 m high and gold plated; multi-tiered oil lamps are lit during evening Pooja. The temple is located 29 km from the city of Thrissur, a daily passenger train is available from Ernakulam via Thrissur. Chottanikara Temple, a few miles from Ernakulam, is dedicated to Bhagawaty, the mother Goddess. It is a refuge for those who suffer from mental illness. Devi is worshiped as Saraswathy, Bhadrakali and Durga at morning, noon and evening. Devotees address Devi as Lakshminarayana. Rajarajeswra Temple at Taliparamba, 25 km from Kannur in north Malabar is a foremost Shiva temple among 108 established by Parashurama. Many people including the high and mighty seek the Lord’s blessings at this temple. Sabarimala Shastha is the adored lord of Kaliyuga. Temples built according to His liking stands among dense forests at a height of 1565 ft. Nearly 50 millions pay their obeisance yearly. It is open only during certain days apart from the 41 days of Mandala Pooja and Makara Sankranthi. Austerities have to be observed before visiting the temple. The temple is in the district of Pathanamthitta, about 125 Kms from city center. Kerala is the only place in India where you will find a good number of ancient churches. It has been considered that St.Thomas, one of the apostles of Christ had visited Kerala in 52 AD and that he introduced Christianity to India. Some famous and must see churches are listed here. Parumala Church – Parumala Church is one of the popular Christian pilgrimage centers in Kerala. It is located in Pathanamthitta District and is about 13 kms away from Thiruvalla town. It contains the tomb of Mar Gregorios Geevarghese Chathuruthil (Parumala Kochu Thirumeni) who is the only declared saint of Malankara Orthodox Syrian Church. 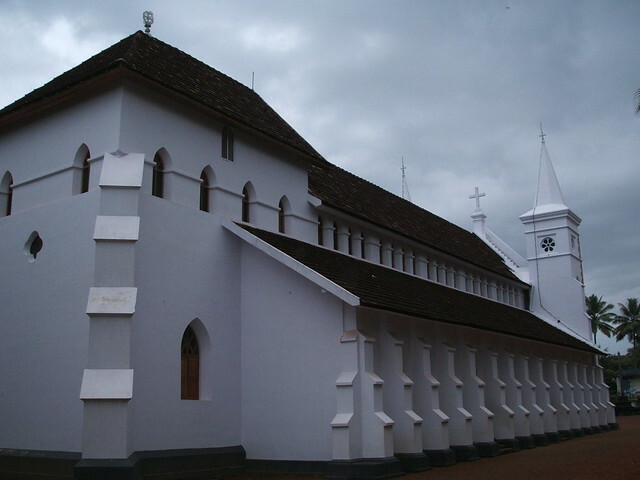 Malayattoor Church – This is the most famous and visited Christian church in Kerala. Malayattoor Church is situated on top of a hill and is dedicated to St Thomas, apostle of Christ. There is a small church at the valley as well. The main festival is after the Easter and it attracts pilgrims from all parts of Kerala and also from neighboring states. Niranam Church – Niranam Pally is one of the 7 churches (communities) founded by St. Thomas,. It was constructed in AD 54. It was later rebuilt in 1912 and then again renovated in 2000. 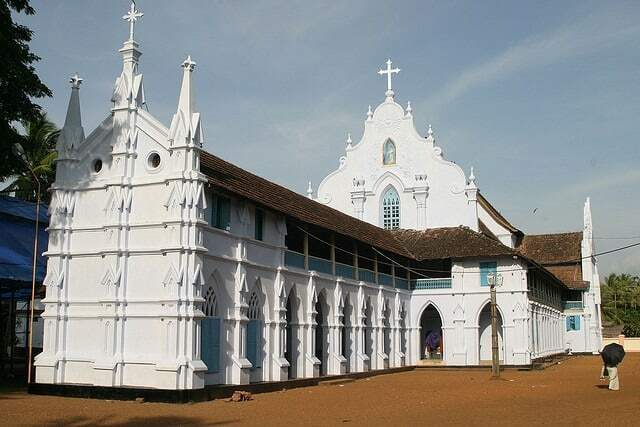 This church has a rich history having played an important role in spreading Christianity in Kerala. The 6 other churches built in this period by St Thomas are Palayoor, Kodungaloor, Parur, Kokamangalam, Nilackal, Kollam. Edappally Church – Located in the suburbs of Cochin, St.George’s Forane Church at Edappally is another popular Church in Kerala. It was founded in 593 AD. The annular event held in the month of April is the main attraction. Manarkad Church – St. Mary’s Jacobite Syrian Church, Manarkad is another church that attracts devotees year-around. This church is located 10 kms from Kottayam District. The annual feast known as Manarcaud perunnal or Manarcaud feast is held in the month September every year. Kerala also has some ancient mosques with rich history and tradition. These mosques have also played an integral part in weaving the Kerala culture. Here are few important ones worth a visit. 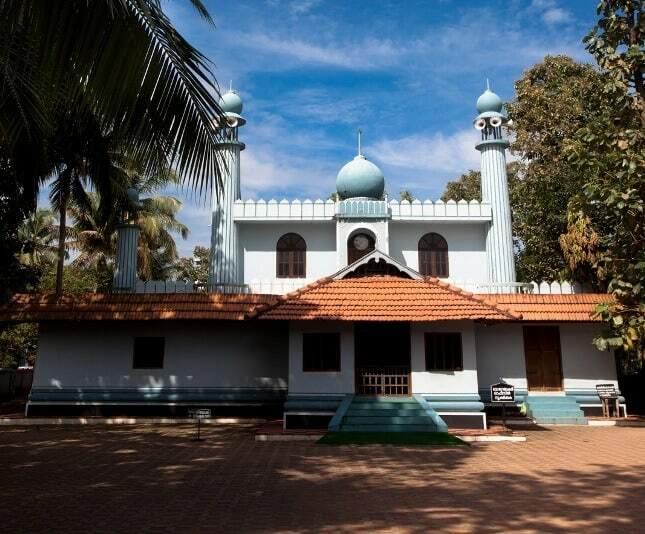 Cheraman Juma Masjid is located very close to Kodungallur township. It is considered to be the first mosque in India having been constructed in 629 AD. This construction of this mosque was sponsored and initiated by the King Cheraman Perumal when he got converted to a Moslem. The structural layout and architecture of this mosque has some similarity to traditional temple architecture. Kanjiramattom Mosque is about 25 kms away from Cochin city. This mosque was built as a tribute to Sheikh Fariduddin. Mosque is famous for Kodikuthu festival held in the month of January every year. ‘Chandanakudam’ ritual held during this time attracts tourists from all over. Madayi Mosque, located 28kms from Kannur was built by Malik Ibn Dinar, a Muslim preacher who came to India to spread the word about Islam. There is a block of white marble in the mosque which is believed to be brought by him from Mecca. Pazhayangadi Mosque is another popular mosque that attracts lots of Muslim pilgrims from across the state. It is situated in Malapurram district at about 18 kms from Manjeri Town. The main attraction here is the 3 day long Valia Nercha feast conducted every year ( February or March). 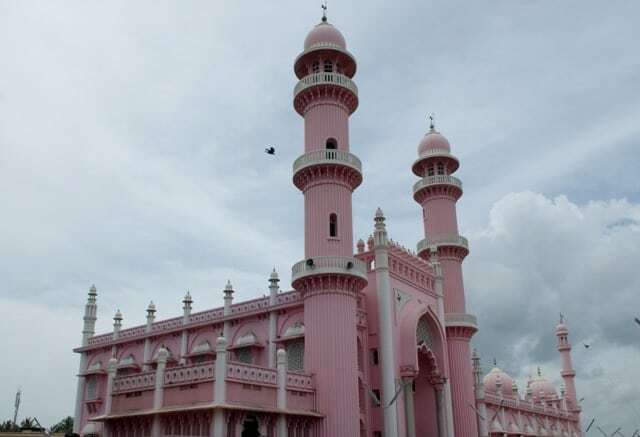 Beemapally Mosque is located close to Trivandrum city on the way to International Airport. It is popular for the annual Urus held here. This is mosque is named after a religious Muslim woman, Beema Beevi known to be blessed with spiritual powers. Her tomb as well as her son’s resides here. Here are the important Bird Sanctuaries in Kerala that can be included in Kerala tour itinerary. Thattekad Bird Sanctuary is the first to be set up in Kerala. It is one of the best in the country. There is variety as well as rarity among the denizens. “Cuckoo Paradise” is a popular center. Variously hued butterflies are an added attraction. The Sanctuary is a two-hour drive from Kochi. 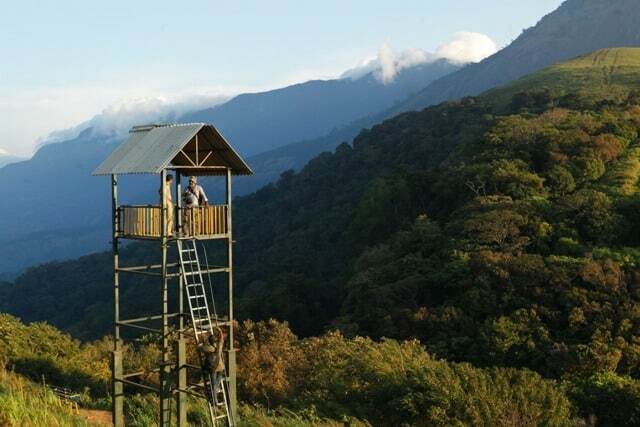 Nearby Edamalayar forest with rarely seen Mountain Hawk eagles makes it even more visit-worthy. This is the pre-eminent tourist place in Kerala for bird watching. Kumarakom Bird Sanctuary is ideal for bird watching; the scenic view of the backwaters, boat rides in the Vembanad Lake, well laid-out paths and cozy accommodation make it an unforgettable holiday. Bird lovers have much to enthuse them with local as well as migratory birds. The place is 106 km from Kochi; it is nearer to Kottayam. Kadalundi Bird Sanctuary is made up of a cluster of estuarine islands. It is only 19 km from the city of Calicut. The place is well-known for the avian visitors like terns, sandpipers and Siberian Cranes who like the months November to April. Mangalavanam Sanctuary welcomes even the short stay visitor. It is in the city of Kochi behind the High Court. It adjoins the sea and the backwaters. A lake in the middle provides a watering place for the birds and animals and a home to some rare fishes. Pathiramanal Bird Sanctuary is in a small island in the Vembanad Lake. Stop there during your cruise in the Vembanad Lake or ride a boat from Allapuzha or Kumarakom. Throughout the State there are a number of wild life sanctuaries. Parambikulam Sanctuary is a protected area of 285 km sq, that lies in Palakkad district between hills. It is part of the 391 km sq Tiger reserve. 3 major peaks lie in the area. Also, a number of rivers and reservoirs attract tourists. Parambikulam Sanctuary is the best Kerala sightseeing location because of the dense forests, and the rich bio-diversity. Trekking, stay in the tree house, observing from watch towers, boating are the activities possible. Rest Houses afford you a comfortable stay. The place is accessible by road or rail from Pollachi 45 km away. 65 km from Palakkad lies Pollachi in Tamil Nadu. Periyar Wildlife Sanctuary or Thekkady is set high on the cardamom hills that border Tamil Nadu. Periyar the longest river of Kerala has its origin from this area. The river and the Periyar lake are the water sources for the reserve. It is more of a reserve for elephants and tigers. Nearly 75% of the area is covered with rain forest. Tall trees 40 to 50 meters are seen here. Only 55 km sq in the buffer zone can be used by the tourists. 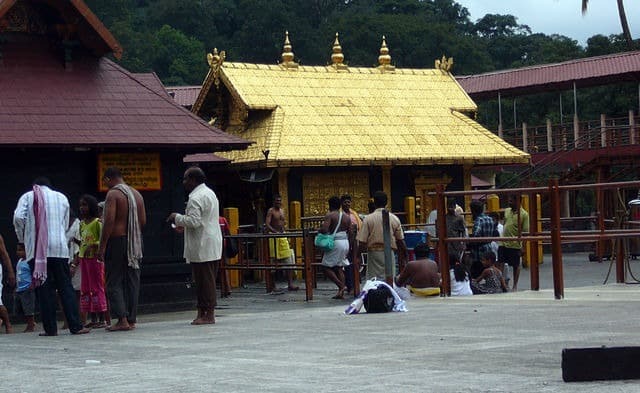 Pilgrims to the famous shrine of Sabarimala pass through this area. Only guided treks and walks are allowed. Biodiversity is amazing! It is 4 km from Kumily, 100 km east of Kottayam. The nearest airport is at Kochi. Idukki Wildlife Sanctuary at an average altitude of 600 m and 77 sq km in area lies between 2 rivers, Periyar and Cheruthoni. The forest is tropical evergreen. Trekking and wildlife viewing are naturally the main activities. 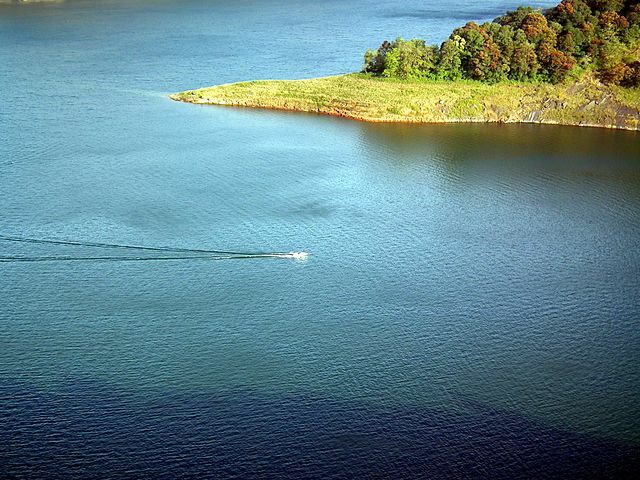 Boating in the great reservoir enables you to get a panoramic view. The Reserve is 40 km from Thodupuzha. Wayanad Wildlife Sanctuary is an integral part of the Nilgiri biosphere reserve. The sanctuary is home to tigers, leopards and elephants among many others. A variety of birds also live there. The trees are deciduous. Aralam Sanctuary is the northern most one. It is only 55 km sq in area but the elevation ranges from 50m to 1145 m. Katti Betta is the highest peak. Flora and fauna are endemic to Western Ghats. Teak and Eucalyptus plantations are wide spread. The sanctuary is 35 km from Thalassery in north Kerala. Amusement park is a latter day phenomenon in Kerala. There are 7 such parks in the State. All are modern with all the accessory facilities such as eateries, locker facilities, changing rooms and so on. All of them have a body of water for fun and frolic. Water quality is strictly maintained. Large parking places are conveniently located. Amusement park have played a major role in improving the tourism of Kerala. Fantasy Amusement Park is the first to be set up in Kerala. A special feature is the digital Planetarium to experience the view of celestial bodies. 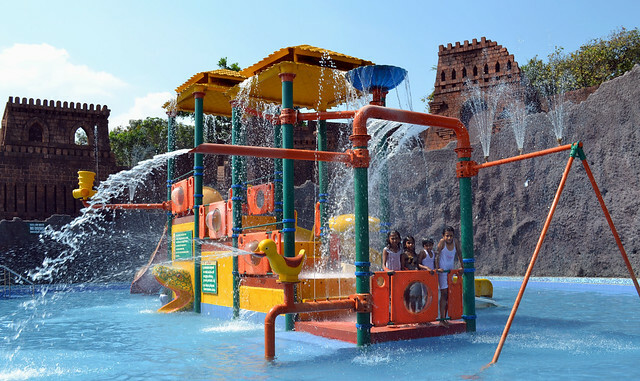 Wonderla (Veega Land) – This popular water theme park was set up in Pallikara near Ernakulam. The scenic setting makes the place beautiful. Water rides are the most popular; the water quality is consistently maintained. Safety harness is attached for thrill rides. Many family rides are also available such as Cine magic, space ship, laser show and so on. Kids find the special rides for them exciting. Silver Storm Park is known for its unique rides. Fish ponds, Viking Ship and games in the children’s village make it one of the most favored by children. It is located in Athirappily in Thrissur district. Dream World is another water theme park located very close to Athirappily Waterfalls, Thrissur. Rain Dance floor was first introduced by Dream park. Happy Land Water Theme Park, located at Vembayam, Trivandrum offers a array of dry and water rides. This park is nestled between hills and is maintained an an Eco-friendly spot. Sadhoo Merry Kingdom is another water theme park in Kannur district at Chala. More than 25 rides, video game stations, restaurants all make this a beautiful hideout to enjoy. In recent years, a number of shopping Malls have come up in Kerala. Many of them are located in Kochi (Cochin), the commercial capital of Kerala. The Oberon Mall is the first full format mall opened in Kerala. It is the 2nd largest in area, with shops and offices occupying 426,000 sq ft across 5 floors in a ground of 6 acres. It is a very busy shopping avenue. Lulu International Mall is Kerala’s biggest and India’s 2nd largest in floor area, 2,500,000 sq ft. It is built in an area of 17 acres. It is located at Edapalli Junction, Kochi. There are more than 300 outlets, 4,500 seated food courts, multiplex of 9 screens, 12 lane bowling alleys and a large ice skating rink. Abad Nucleus Mall is in Maradu, a suburb of Kochi with a retail floor of 280,000 sq ft and distributed in 4 floors. It is India’s first LEED certified green building. Gold Souk Grande is in Vyttila, Kochi, themed with the concept of the wedding. A gold souk that offers leading jewellery brands predominates the mall. Four major wedding apparels stores are housed there. Center Square Mall located in M.G.Road is the latest in Kochi. It is aiming to redefine the shopping experience with the flagship shop, Central. Carmel Towers is a shopping mall in Vazhuthacaud, Trivandrum. The 12 floor building offers high quality facilities like a 12,000 sq ft food court. Big I Mall is a nearly completed mall in Trivandrum. It has high speed elevators and is built with a green concept. Style Plus in Kowdiar, Trivandrum is a lifestyle megastore complex. It has stores selling trendy wear for men, women and kids, shoes and bags, all kinds of electronic gadgets, watches and much other stuff. Focus Mall on Rajaji Road in Calicut is one of the oldest malls in the State. It consists of 250,000 sq ft of shopping area and food court. It has a vast parking space underground. R.P. Mall on Mavoor Road with an area of 200,000 sq ft covers mall, multiplex and a 4-star hotel. It is the first multiplex to open in Calicut. I have tried my best to cover all the important and famous tourist places in Kerala in this article. If I have missed any, do give me a shout out. I greatly appreciate that. And I love to hear your comments! That’s what motivates me to write more! Kerala is one of my favourite destination and I am coming to Kerala very soon. The places you have described in your blog seems really interesting. Your guide will be helpful for me. Hi sunu, thanks for the information. Images you provided are really nice. i’m planning a visit to the places you mentioned. So glad you loved the images Ray. Appreciate your support! Hi Sunu, Loved your article. 🙂 Really nice places to visit. Is it possible to visit them in 7 days? not all of them but most of them. I am going to visit in September end. Need to know best attraction in north Kerala and roughly 10 days how much per person with Everthing motel lodge and tours and attraction separate quatetion??? nice and useful explanation..thanks, keep it up..
BUDGET TYPE ACCOMMODATION AVAILABLE IN A NEWLY BUILT HOTEL IN THE HEART OF TRIVANDRUM CITY AT A VERY REASONABLE TARIFF. Hi sunu! Very nice article!! Which place to visit out of thekkady and allepy?? 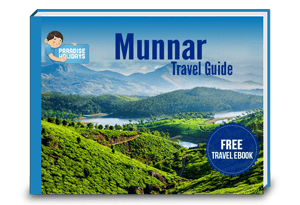 I am also going to munnar and kovalam. Also is it safe to live in houseboats?? 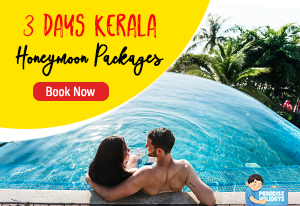 mainly we planning to come kerela for our honemoon trip…can you tell me pls we need hw many days (approximate)to visit top most tourist spots …. Thank you Mr Unaise for your encouraging words! Thank you Mirudula. I will forward your request to our team. They can guide and help you plan a wonderful Kerala tour that covers many of the interesting places listed above! M also planning to visit kerala for honeymoon, and I love to visit all the places. But I have plan for 4 day’s and need your help. hi Sunu..,this blog is not only useful its artistic too,thanks for sharing this interesting blog with us..Lovely pics and good post. Yes, Thrissur is the best place to be; some of the best people I have interacted with.. Very very beautiful blog. Best pics ever I have seen. Thanks for sharing. Good job. Thank you so much for your interest in traveling with us, Nag Raj! Our team will get back to you! hey, my family is planning to visit kerala in may 2015 and i would lyk 2 ask u which all places we all should visit in 5 days.I would really appreciate ur blog, its fantastic! 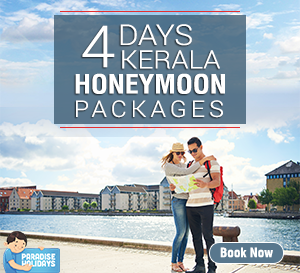 Hi, im planning to come kerala for honeymoon.I really lyk places in ur blog.I ‘ve oly 4 days totally in my hand for honeymoon.wat al places i can cover in these 4 days?? Thnks for this wonderful guide. ..
Am Fida , studing in7th standard ( DUBAI ) . I am having summer vacation now (from june 16 to sep. 1 )..
And i was having to prepare a project on the different places of kerala.. It was very much informative.. Thank you Fida! Really happy to hear that this article helped you in your project. So when are you planning your next Kerala visit? Kerala is my favourite place. Excellent collection of information, great site, very informative. Thanks for putting all important pieces together. Liked your site on Facebook and was trying to share it on Facebook too, however, i think some system issue, it is not happening, will try again. 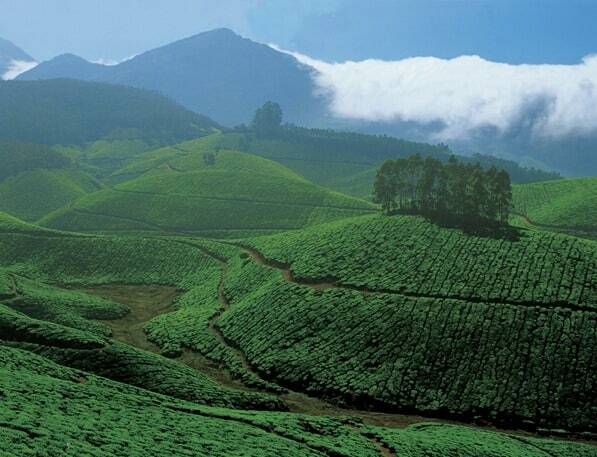 Ramakkalmedu is an unexplored hill station in Kerala. It is just a one-day destination best for weekend trips. Thank you Ajish for your suggestion. Will definitely include that location in our upcoming articles. Hi Reny, thank you for your encouraging words. Please be in touch with our travel desk, they will guide you in planning your Kerala travel. 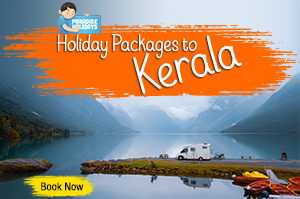 You can reach them at info@paradise-kerala.com or +91 9633788866. Nice blog. This is a very good blog on adventures trip. I would like to thank you for all the information you give. Its really important to choose the best travel guide to know the different place in earth. So thanks for the information you give. oh yes Dari..you are right! Wonderful post with stunning images. Kerala is amazingly beautiful with lots of tourist attractions, that’s why it become most traveled destination in India. You’ve shared great information about Kerala and all places are beautiful. 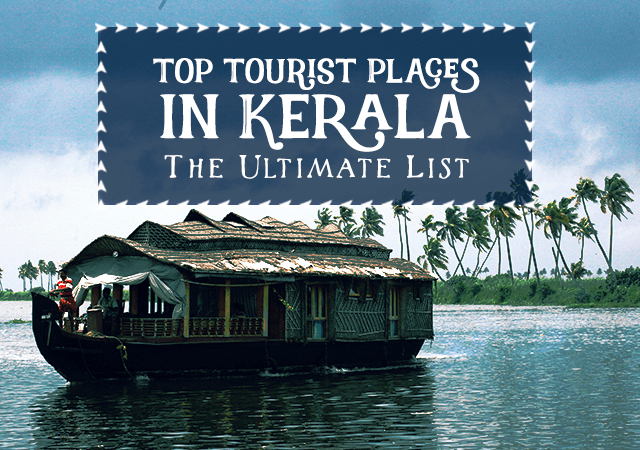 The top tourist places was critical in Kerala and such there are deserve any blogger. Thanks for sharing this post, Kerala is amazingly awesome with a beautiful climate and every place in Kerala had some different stories to be told. Thanks, Amir, Kerala definitely is an amazing place. Be sure to visit it some day. I think this is really very well and informative content. Thanks for given this information here on this blog. Really glad to hear that you liked our blog. Keep on reading to get more updates about Kerala tourism. Kerala is one of my favourite destination and I want to go to Kerala very soon. The places you have described in your blog seems really interesting. Your blog will be helpful for me. Keep sharing. Really glad to hear that you liked our blog. Thank you! Also, We hearty welcome you to experience the mind-blowing beauty of Kerala. The places described in this blog seems really interesting. This is very well and informative content. Every place in Kerala had some different stories to be told and it is amazingly awesome with the beautiful climate. Glad to hear that you liked our article. 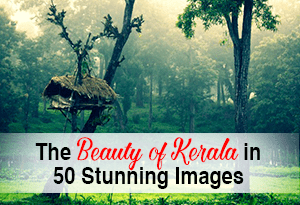 Keep on reading our blog to learn more details about Kerala. Glad to speak with you via this text. How about package ranges to visit this places. how many days required to enjoy this season. 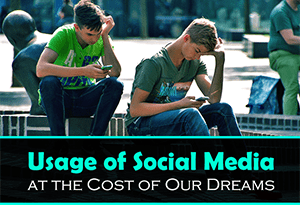 would be comfortable cost for middle class or Highly Expensive ?